Leatherhead Register Office is situated in The Mansion which has a varied history. The first house on the site was built during the reign of Henry VIII but is thought to have been rebuilt in 1710. Amongst it’s occupants have been a Royal Falconer, a Lord Lieutenant of Surrey and Lord Jeffreys, who became known as the ‘Hanging Judge’ after the Monmouth Rebellion. As well as being a private home, it has also been used as a school, a billet for Canadian troops during World War II and latterly by Surrey County Council to house the library and other council services. In May 2000 the ground floor rooms were restored to become Leatherhead Register Office. 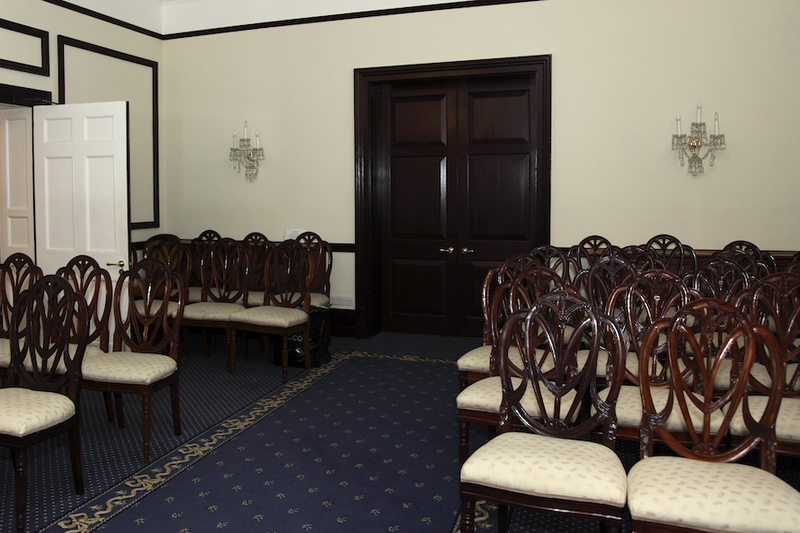 The ceremony room, which holds 50 guests, is furnished in blue, cream and gold which sets off the room’s mahogany woodwork. Adjoining the ceremony room is a large conservatory with a kissing seat. The conservatory provides an elegant backdrop for wet weather photographs, but in fine weather the garden with it’s terrace, steps, lawns, walkways, seats and a pergola provide a stunning background for your photographs. Thank you so much for the beautiful photographs of our wedding! They are perfect in every way and we are so grateful for all your help and hard work. Many thanks to Mike too of course – what a great team! 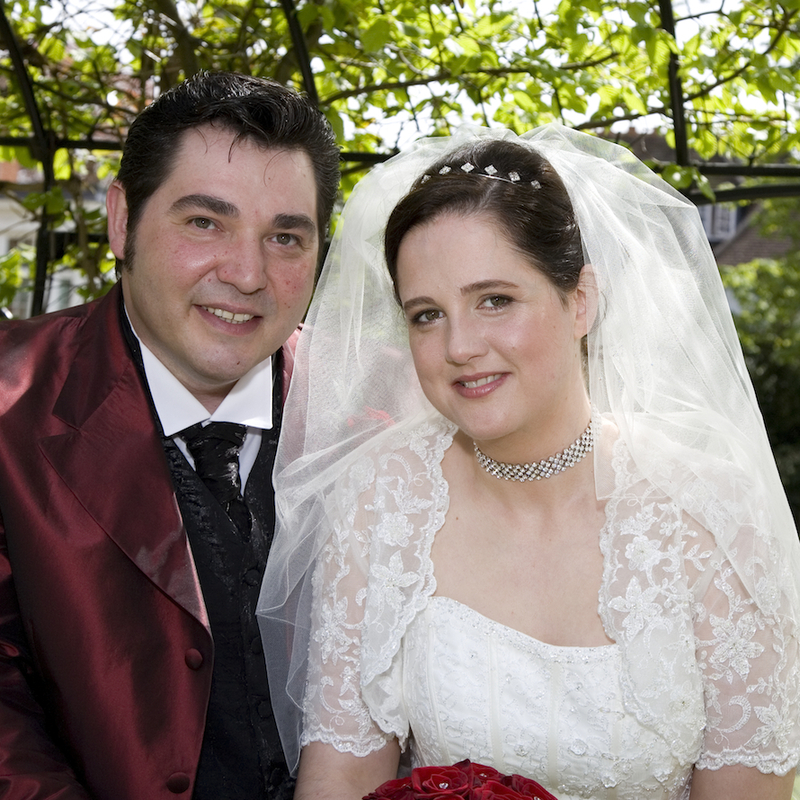 Here are a few images from the many weddings we have photographed at Leatherhead Register Office.